Becker’s Hospital Review has selected University of Virginia Orthopedics at UVA Medical Center for its list of 100 hospitals and health systems with great orthopedics programs. In selecting UVA Orthopedics to this year’s list, Becker’s highlighted its top 50 ranking by U.S. News and World Report for orthopedics care as well as low infection rates for patients receiving total joint replacements. 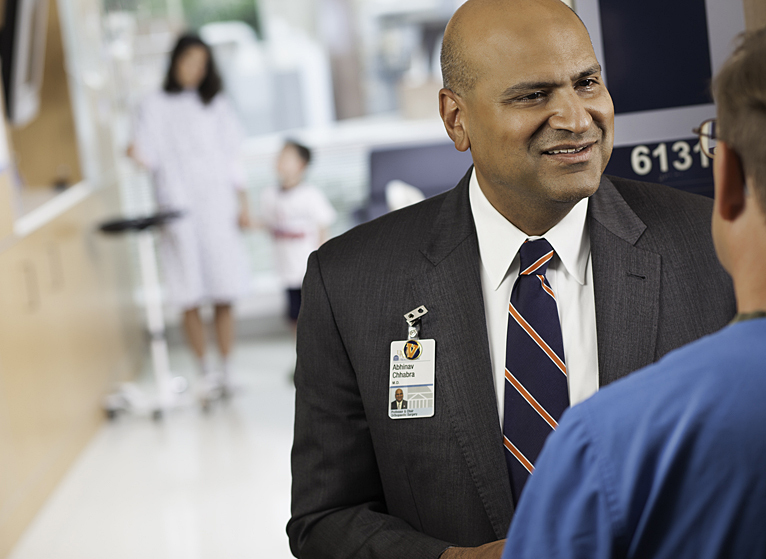 “I want to join Dr. Chhabra in commending our team members from across UVA Health System for their collaboration to meet the care needs of all of our orthopedics patients,” said Pamela M. Sutton-Wallace, chief executive officer of UVA Medical Center. Hospitals named to the list by Becker’s Hospital Review are not ranked and are presented in alphabetical order.